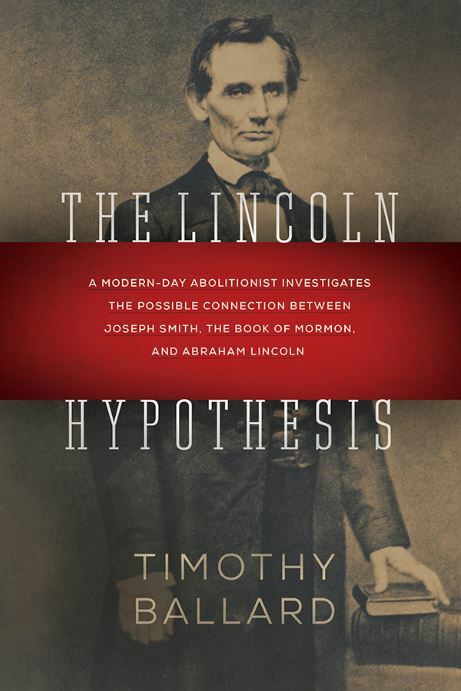 I recently read and thoroughly enjoyed The Lincoln Hypothesis: a modern-day abolitionist investigates the possible connection between Joseph Smith, the Book of Mormon, and Abraham Lincoln by Timothy Ballard. For my own record, and also for the TL;DR crowd, below are some of my favorite quotes. 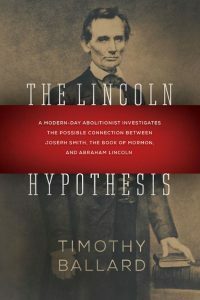 “This book will contain many valuable facts and sound historical conclusions, but it will also include unsubstantiated, yet compelling, ideas that I believe are also worthy of serious consideration” (from the Preface). Book of Mormon prophet Lehi said: “Yea, the Lord hath covenanted this land unto me, and to my children forever, and also all those who should be led out of other countries by the hand of the Lord. . . . And if it so be that they shall serve him according to the commandments which he hath given, it shall be a land of liberty unto them; wherefore, they shall never be brought down into captivity” (2 Nephi 1:5, 7). During the creation of the Bill of Rights, James Madison proposed the following amendment: “No state shall violate the equal rights of conscience, or the freedom of the press, or the trial by jury in criminal cases.” Unfortunately, this amendment was not included in the bill of rights. 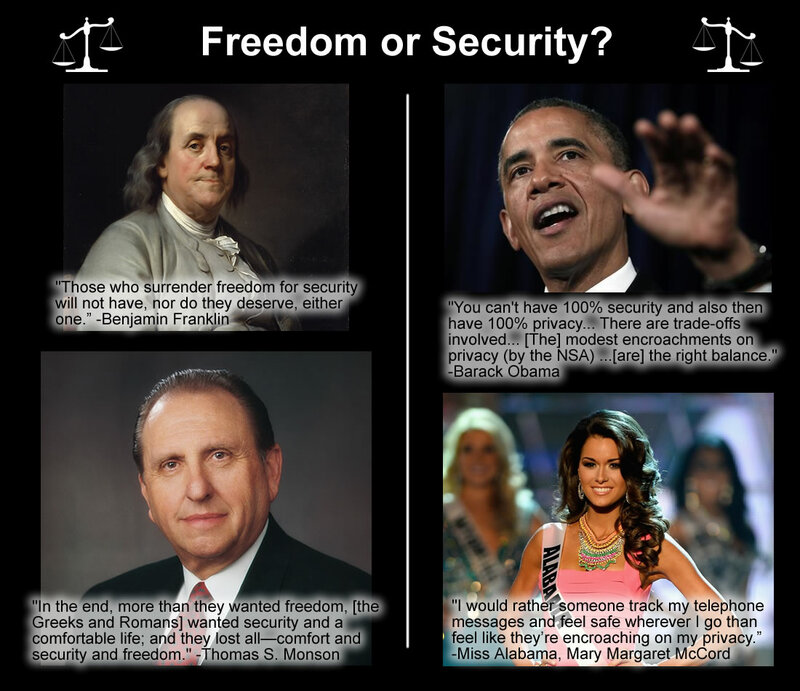 Freedom or Security: Where do you stand? NSA Whistleblower Makes Allegations About Extent of Government Surveillance, The Blaze, June 20, 2013: Claims NSA has conducted surveillance on many groups and individuals, including military and government officials including wiretaps on phones of Barack Obama when he was a senate candidate in 2004. I couldn’t believe my ears when I heard this quote. The fact that this attitude is so excepted and prevalent in our society makes me fear for our freedom. Our freedoms are already slipping away and if the American people so easily give up their freedom, before long they will have no freedoms at all. Why? Because, as has often been said, a government big enough to give you everything you want, including security, is a government big enough to take away everything you have. My sentiment on the matter is shared by one of our great founding fathers, Benjamin Franklin. He said, “Those who surrender freedom for security will not have, nor do they deserve, either one.” The Wikiquotes entry on Benjamin Franklin says that statement is a common paraphrased derivative of the actual Benjamin Franklin quote, “They who can give up essential liberty to obtain a little temporary safety, deserve neither liberty nor safety”, but the point remains. Where do you stand? Security or Freedom? Do you stand with freedom or security? Do you stand with Barack Obama and Miss Alabama? Or do you stand with Benjamin Franklin and Thomas S. Monson? As for me, I stand with the latter group. I side with freedom. 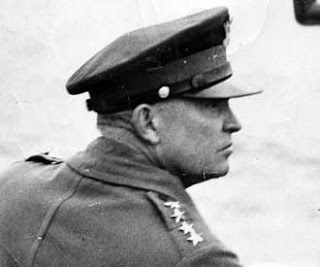 If we have to err on one side or the other, I would err on the side of freedom because if we don’t, history and logic show, that we will lose both security and freedom. Inextricably linked to these political freedoms are protections for the economic freedoms envisioned by those Americans who went before us. While the Constitution sets our political freedoms in greater detail, these economic freedoms are part and parcel of it. During this bicentennial year, we have the opportunity to recognize anew the economic freedoms of our people and, with the Founding Fathers, declare them as sacred and sacrosanct as the political freedoms of speech, press, religion, and assembly. There are four essential economic freedoms. They are what links life inseparably to liberty, what enables an individual to control his own destiny, what makes self-government and personal independence part of the American experience. First is the freedom to work — to pursue one’s livelihood in one’s own way, to choose where one will locate and what one will do to sustain individual and family needs and desires. Second of those freedoms is the freedom to enjoy the fruits of one’s labor — to keep for oneself and one’s family the profit or gain earned by honest effort. Third is the freedom to own and control one’s property — to trade or exchange it and not to have it taken through threat or coercion. Fourth is the freedom to participate in a free market — to contract freely for goods and services and to achieve one’s full potential without government limits on opportunity, economic independence, and growth. 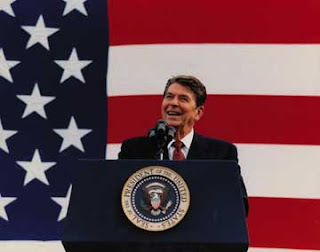 I thought it would be fun to contrast Reagan’s economic principles with those of Barack Obama. Each of the following comes directly from Obama’s Web site. The freedom to work “Extend and Expand Unemployment Insurance.” More incentives to NOT work. The freedom to enjoy the fruits of one’s labor “$20 billion in new tax rebates.” Money for nothing. If the rebate went to actual tax payers, 97% of it would have go to the rich. But Obama’s proposal is to give this money to “America’s workers” He doesn’t clarify exactly who that is, but it sounds like a big redistribution of wealth, i.e. enjoying the fruits of someone else’s labor. The freedom to own and control one’s property “Barack Obama’s Plan to Jumpstart the Economy”: $50 billion in new government spending. And bigger government, of course, means less control you and I have over our own property, including our income, which Obama will be taking more of to pay for his big government programs. The freedom to participate in a free market “a $10 billion Foreclosure Prevention Fund” and “$10 billion in Relief for State and Local Governments Hardest-Hit by the Housing Crisis.” This is more meddling by the government and anything but free market economics. Wow, what a contrast! It’s too bad the Republicans didn’t nominate a candidate with Reagan’s views on economics. I guess John McCain will have to do; he is certainly much better on economics than Barack Obama. I was listening to the Rush Limbaugh radio program yesterday and took particular note when he said, “if you put a limit on how much you will spend on freedom, you are going to lose it.” He was speaking in regards to the War in Iraq and those liberals and democrats constantly complaining about the amount of money our country is spending to defeat global terrorists and preserve our freedoms. 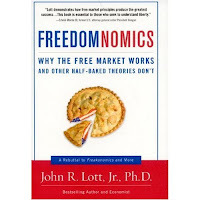 In and of itself, I thought the concept was profound: if you put a price on freedom, you will lose it. But in the context of having that quote in mind, I awoke this morning to the following headline NYU Students Would Sell Their Right to Vote for Free Tuition. I couldn’t help but laugh with incredulity. 50% said they’d forfeit their right to vote forever for $1 million.It boggles the mind that individuals would so easily through away what our founding fathers fought to give us and what so many of forebearers have died to preserve.